The Eliasson cloud ceilometer CBME80B is a compact and lightweight standalone instrument for measuring cloud base height and vertical visibility. The design is based on the LIDAR principle. The light emitting component is a low power diode laser with the output power limited to an eye-safe level. It is designed for both fixed and mobile installations and detects up to three cloud layers simultaneously. 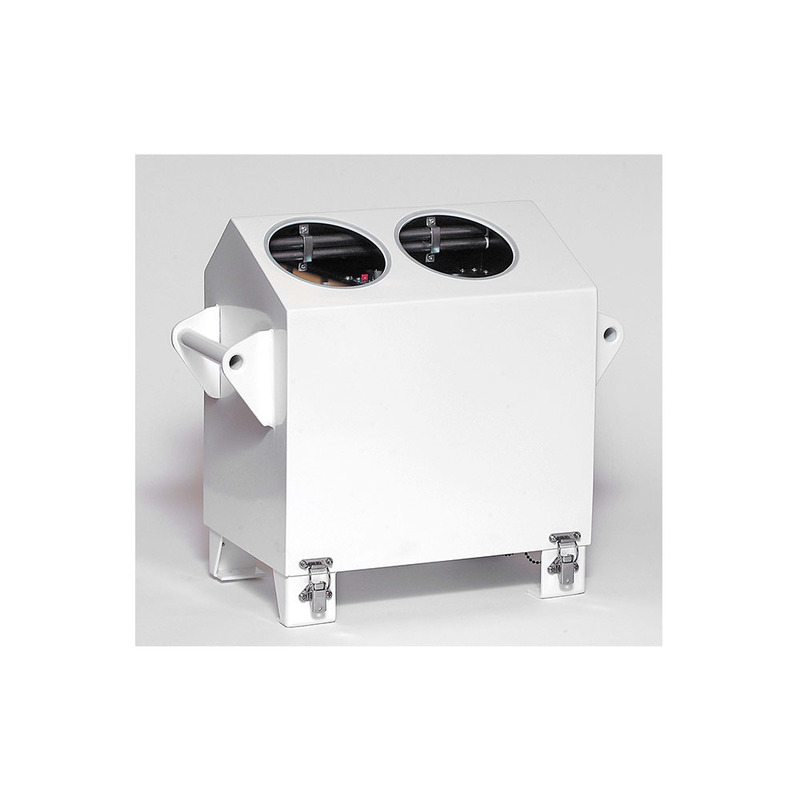 The CBME80B ceilometer is ideal for use in aviation and meteorological applications and is suitable for installations on land, ships and for offshore use. Available in 110V or 230V AC version. For enhanced detection in precipitation. (Robust Leister blower.) (Requires stand). To protect the equipment when sun in zenith. (Required when deployed in tropical areas). Graphical display software for Windows PC. To be used on host side if V.23/FSK output is used. For quick mobile display of current measurement (window in hood). Includes Ceilometer, Stand and Blower. A standalone display to be used instead of (or as a complement to) a software based presentation system.